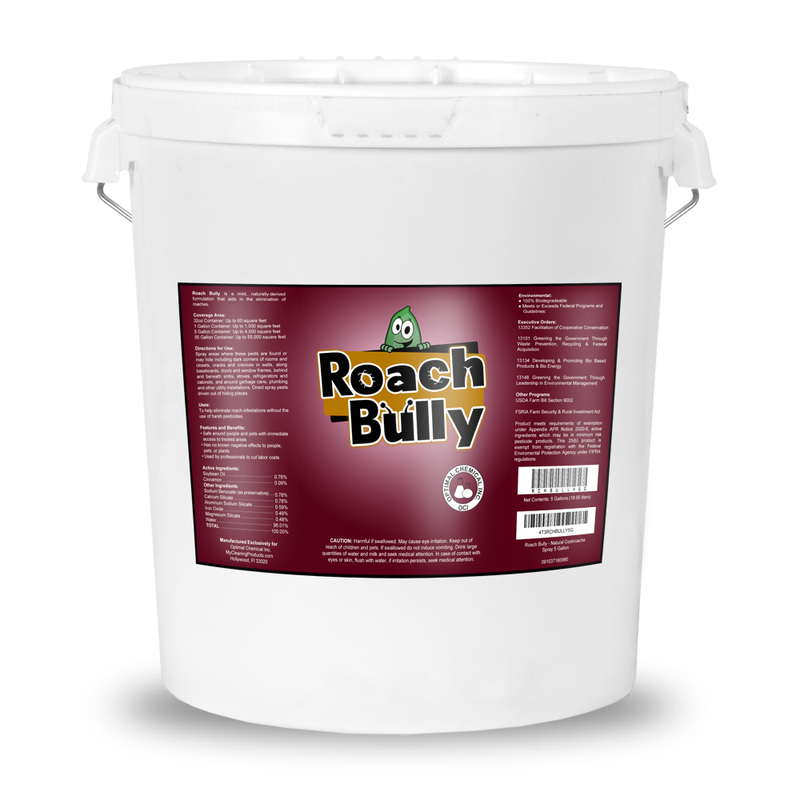 Roach Bully is a mild formulation with naturally-derived ingredients that aids in the elimination of cockroaches, bed bugs, fleas, ticks, ants, millipedes, carpet beetles and prevents re-infestations for up to 30 days when used in accordance with label directions. 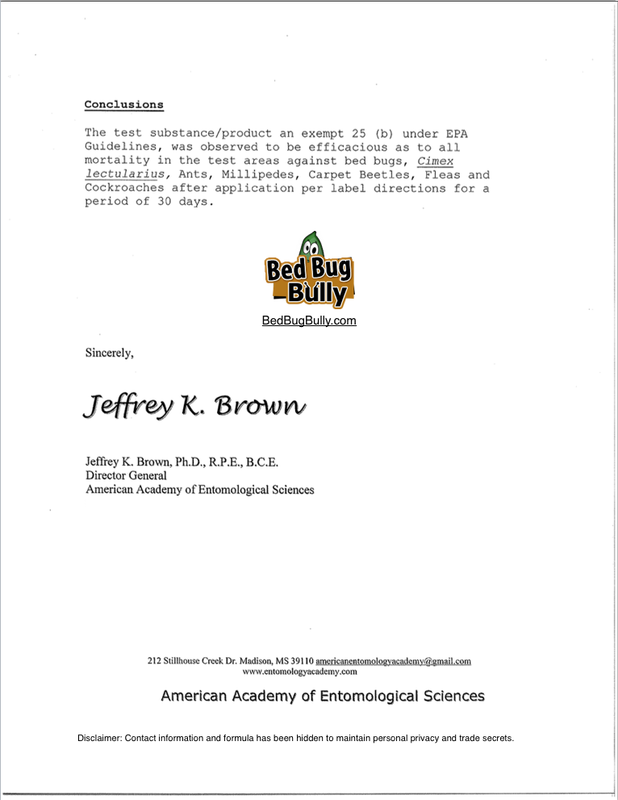 This formula has been third party tested by the American Academy of Entomological Sciences (AAES). 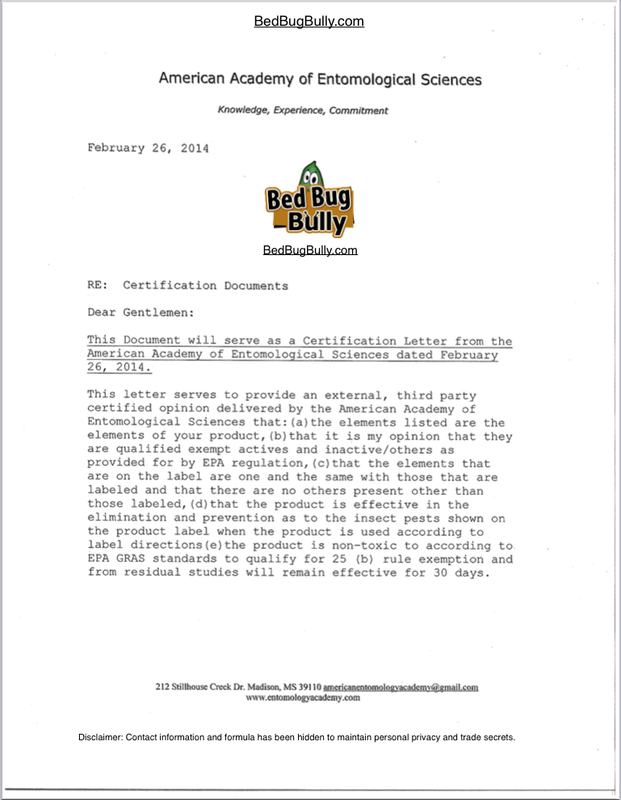 The official MSDS (Material & Safety Data Sheet) for Roach Bully. I recently ordered your Roach Bully product. All I can say is WOW. If your other sprays ( fleas, bedbugs ) work half as well as this does, I will sing your praises to everyone I meet. Well the Marion County Health Dept seems to like the results from your product taking care of my roach problem. I am willing to try this product because I am terrified of cockroaches! I can’t keep them from invading my utility sheds. I refuse to go inside of these sheds by myself. My rating is yet to be determined, gonna do a 1 for now.